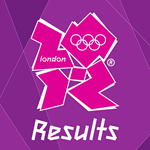 Android-using Olympics fans now have another reason to be proud of their platform - back in May, the London 2012 Join In App was released, and now, the same developer has published the London 2012 Results App. As its name suggests, this new creation features results from all sorts of sports, including both the Olympic and Paralympic varieties. Additionally, the app will allow you to keep up on the latest news, live schedules, and athlete profiles from the games once they begin. You'll also be able to follow any specific country, in addition to "[managing] your favorites, reminders, and settings" - combined, these features enable notifications exclusively for a specific nation. Nice.